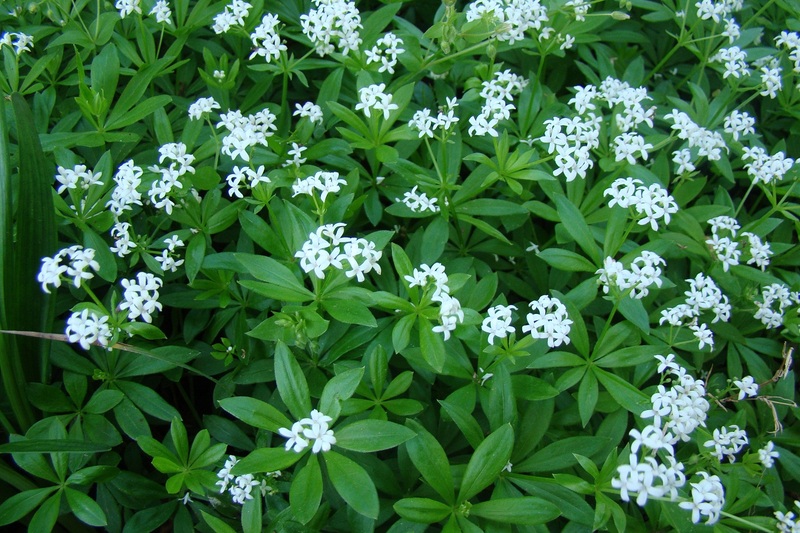 Sweet woodruff is a shade loving herb that spreads like ground cover. I’ve had sweet woodruff in my garden for the past 30 years. It blooms this time of year and is used to flavor May Wine; a mixture of German white wine, strawberries and a few sprigs of this herb. It can be used as a potpourri ingredient, too. When it’s fresh, it has no odor. But if you leave it to dry overnight, it develops a strong vanilla scent. Just lovely.